Things are again rapidly heating up in the East China Sea amidst already heightened tensions in a region where Washington is increasingly asserting the right of navigation in international waters against broad Chinese claims and seeking to defend the territorial possessions of its allies. According to a bombshell new Reuters report the tiny and rocky Senkaku Islands which lie between northern Taiwan and the Japanese home islands are "rapidly turning into a flashpoint for war". Alarmingly, Japanese government sources have been quoted as saying Tokyo and the United States are drawing up an operations plan for an allied military response to Chinese threats to the disputed Senkaku Islands. 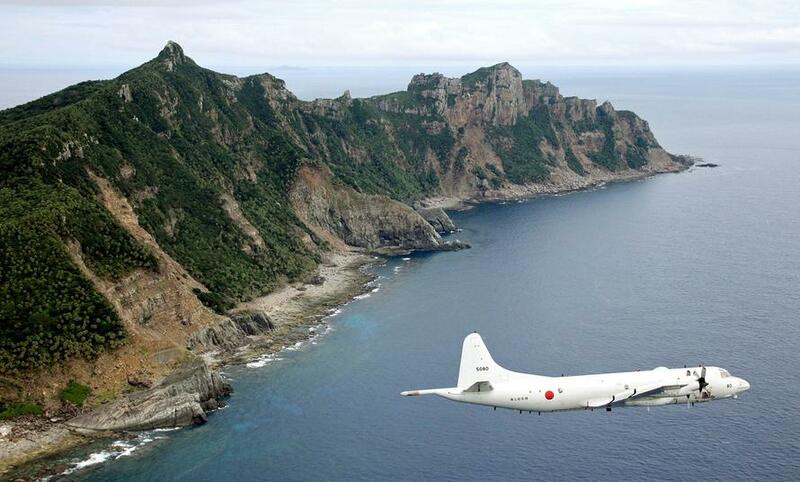 The Senkaku Islands, historically claimed by both Japan and China. From nearly the start of his entering the White House, President Trump has said he's committed to upholding Article 5 of the US-Japan security treaty signed the post-war years of the mid-20th century: “We are committed to the security of Japan and all areas under its administrative control and to further strengthening our very crucial alliance,” Trump had promised from the first official reception of Japanese Prime Minister Shinzo Abe back in February 2017, and since consistently maintained. Japanese government sources have told regional media that the joint plan of response with the United States involves "how to respond in the event of an emergency on or around the uninhabited islands in the East China Sea" — which is set to be completed by next march, according to the statements. Beijing claims the islands as part of its historical inheritance — as it does neighbouring Taiwan, despite failing to seize the protectorate during the Chinese Civil War. Taiwan, however, was a Japanese protectorate before World War II. The situation is now taking on a greater urgency as both the US and Japan participate in the two nations' largest ever join war games, which involves the nuclear-powered USS Ronald Reagan aircraft carrier. The exercise, called Keen Sword began on Monday and is set to run through Thursday, and involved a combined force of 57,000 sailors, airmen and marines — with Japan contributing 47,000 of those military personnel. Canadian warships are also involved in the exercises. 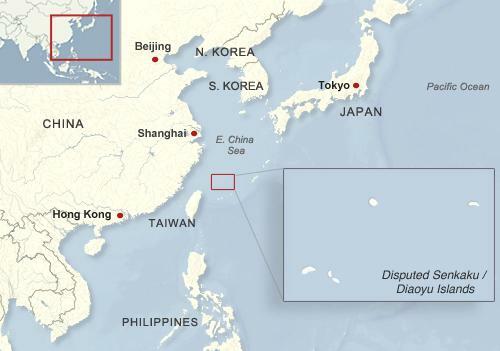 Japan is seeking greater direct commitment and resolve on the part of the United States to defend its territorial claims against Chinese encroachment, which Japan says is already beginning to happen through informal provocative raids of fishing boats organized by Beijing. Though the United States has in the past expressed deep reluctance on outright defending claims to the Japan-administered islands (indicating it will take no official position on the issue), which China calls the Diaoyu, Japan's Self-Defense Forces says the focus of talks with the US has involved how to incorporate the US military’s strike capabilities in any potential Chinese invasion of the Senkaku Islands scenario. The two already have a framework for such talks based on recently created 2015 defense guidelines known ans the Bilateral Planning Mechanism, or BPM. It stipulates the US and Japan's Self-Defense Forces will “conduct bilateral operations to counter ground attacks against Japan by ground, air, maritime, or amphibious forces”. Currently there's a similar contingency plan in place for a potential emergency threat on the Korean peninsula. Between now and the spring - when the plan is set to be finalized and agreed upon - China will likely ramp up its incursions on the islands, or just seize them altogether before US commitments can be firmed up, in which case the great unknown will be whether the United States actually steps up to come to Japan's aid while risking war with China — something that up until now has been carefully avoided.